ADITYA ENTERPRISE is leading & pioneer supplier of Replacement Genuine Quality Rotary Screw Compressor Oil / Coolant / Lubricant for Kaeser, Atlas Copco, Chicago Pneumatic, Sullair, Elgi, Ingersoll Rand, FS CURTIS, BOGE, GARDNER DENEVER etc. We supply Replacement Sigma Fluid, Roto Inject Oil, Roto Xtend Fluid, SSR Ultra Coolant, Sullube, Air Lube Plus, FS Curtis Lube Plus FSC 8000, BOGE Syprem 8000S etc for various Rotary Screw Compressor. These Compressor Coolants are developed to meet satisfactory lubrication under moderate oxidation and thermal performance. Hycom grades are blended from neutral base stocks with suitably selected high performance anti-oxidant, anti-rust foam additives. Our Oils are high performance premium lubricants for the lubrication of rotary and reciprocating air compressors. They are formulated from highly refined mineral stocks and leading edge technology additives. Our lubricants are manufactured under the highest level of quality assurance and control in our modern blending facilities. We are offering OEM Quality Screw Compressor Oil (Lubricant / Coolant Oil) to our clients. With the constant support of our dexterous crew of professionals, we are fulfilling the varied requirements of clients by offering oem quality rotary screw compressor oil / lubricant /coolant. 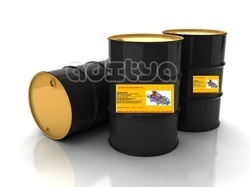 Offered oil finds its best usage in various hardware and engineering industries for different purposes. Provided product is processed using optimum quality chemical compounds and highly developed technology by our deft professionals. 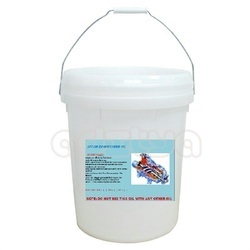 This product is available with us in different packing options at market leading rates. We offer replacement Roto xtend oil for atlas copco rotary screw air compressors at very much competitve price and OEM Quality.This is 100% Synthetic screw compressor oil having life span of @ 8000 hours or 1 year. Our offered oil is made available in gradation of packaging options to provide safer delivery at user's end. Clients can avail this oil from us at market leading price. We supply Replacement and compatible ROTO RS ULTRA OIL for Atlas copco screw compressor with OEM Quality, life , performance with very much competitive price. Expected life of this Oil is @4000 + Hours in normal working condiotion. We supply the replacement / interchangeable roto inject oil of atlas copco screw compressor make rotary screw compressor. Our offered oil is made available in gradation of packaging options to provide safer delivery at user's end. Clients can avail this oil from us at market leading price. We supply Replacement and compatible ROTONDURANCE OIL for Atlas copco screw compressor with OEM Quality, life , performance with very much competitive price. Expected life of this Oil is @4000 Hours in normal working condiotion. Our cordial business relations with the reputed vendors empower us to provide an optimum quality range of Replacement Sigma Fluid for Kaeserscrew compressor . 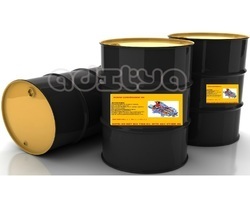 Offered oil finds its best usage in various hardware and engineering industries for different purposes. We supply 100% replacement / interchangeable synthetic type ssr ultra coolant for ingersoll rand make rotary screw compressor. 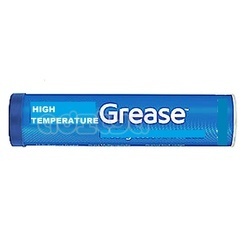 Rotary screw air compressor fluids provided by us are formulated to withstand the punishing temperatures and pressures inherent to modern day air compressors. We supply the 100% replacement / interchangeable syprem 8000 s for boge make screw compressor. Compressor Model 20 hp,30 hp,40 hp,50 hp,60 hp etc..
We supply After market / Replacement Screw compressor oil for Venus Screw compressors with very much competitive Price and OEM type quality having life span of 4000 Hours to 8000 Hours. We are offering replacement & OEM Quality Mark FluidTech Screw compressor oil (Lubricant / Coolant Oil) to our clients. Changing Interval : More than 4500 Hours in Normal working condition. We supply the replacement / interchangeable roto plus oil for Chicago pneumatic make rotary screw compressor. This Screw compressor oil is 100% replacement and compatible with ROTAIR PLUS OIL of Chicago Pneumatic compressor. Changing interval is @ 4500 hours with very much competitive price. We supply the 100% Replacement / Interchangeable SYPREM 8000 S for BOGE make Screw compressor. This is 100% synthetic screw compressor coolant having expected life of @ 8000 HOurs in normal working condition. We supply the replacement / interchangeable Elgi Air lube & Air lube plus oil for elgi make rotary screw compressor. Long changing interval. We are offering AEON 9000SP Gardner Denver Screw Compressor Oil to our clients. This is fully synthetic oil having life of @8000 Hours in normal working condistion. We supply the replacement / interchangeable air lube or air lube plus oil for elgi make rotary screw compressor. 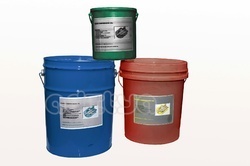 As a quality-oriented organization, we are focused to provide our clients premium quality replacement sullube. 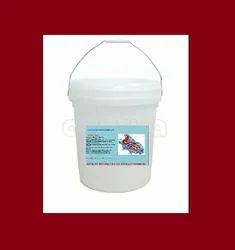 Our offered product is processed under the visionary guidance of trained and experienced professionals using premium quality chemical compounds. It is strictly checked by our quality controllers assuring it's flawlessness and accurate composition at user end. Colour Amber, Golden, Golden yellow etc..
Compressors like atlas copco, kaeser, cp, elgi, sullair etc with performance and quality. Low maintenance and operating costs due to oil change intervals from 4,000 operating hours to 8000 operating hours in oil-injected screw-type compressors. Cost saving through extended oil change intervals. Longer activated carbon filter life. Less residues and gluing ensures problem-free operation of pneumatic valves. 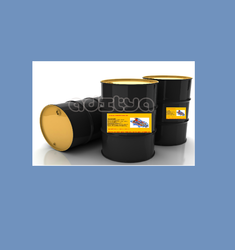 Offered oil finds its best usage in various hardware and engineering industries for different purposes. Provided product is processed using optimum quality chemical compounds and highly developed technology by our deft professionals. 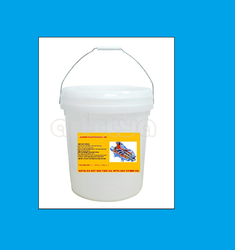 This product is available with us in different packing options at market leading rates.We provide 100% compatible and replacementSSR ULTRA COOLANT , ROTO INJECT OIL, ROTO NDURANCE OIL, ROTO XTEND FLUID, ROTAIR ADVANCE OIL, AIR LUBE PLUS, SULLUBE, SIGMA FLUIDetc. with OEM Quality with very much competitive Price. They are formulated from highly refined mineral stocks and leading edge technology additives. 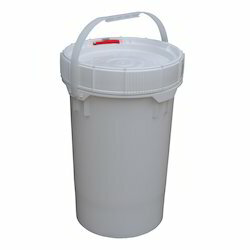 Our lubricants are manufactured under the highest level of quality assurance and control in our modern blending facilities.We provide 100% compatible and replacement SSR ULTRA COOLANT , ROTO INJECT OIL, ROTO NDURANCE OIL, ROTO XTEND FLUID, ROTAIR ADVANCE OIL, AIR LUBE PLUS, SULLUBE, SIGMA FLUID etc. with OEM Quality with very much competitive Price. We are offering Screw Compressor Oil Mineral to our clients. 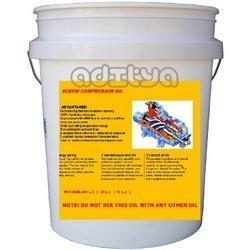 We supply 100% compatible and replacement mineral oil for rotary screw compressors. Our valuable clients can avail fro m us a premium quality rotary screw compressor oil that is high on demand in the market. 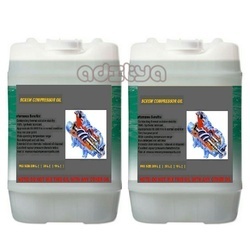 Aditya enterprise's rotary screw compressor lubricants are 100% compatible with oem product. We supply replacement sigma fluid, roto inject oil, roto xtend fluid, ssr ultra coolant, sullube, air lube plus etc for various rotary screw compressors. 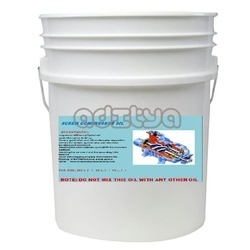 Our provided oil is exclusively formulated using the best grade chemicals and modern technology as per the set industry standards at our vendors processing unit. Offered oil finds its best usage in various hardware and engineering industries for different purposes. 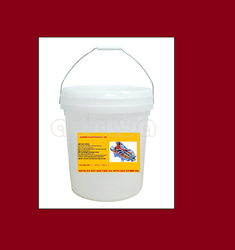 Our valuable clients can avail this oil at most competitive price. We at our fi offer semi synthetic compressor coolant to meet customers requirement for rotary screw air compressor. 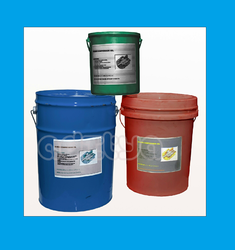 We supply replacement sigma fluid, roto inject oil, roto xtend fluid, ssr ultra coolant, sullube, air lube plus etc for various rotary screw compressor. 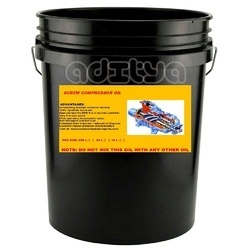 Grade 32,46,68 etc as required ..
We at aditya enterprise offer 100% imported & quality lubricant to meet customer requirement for rotary screw air compressor. Our high temperature compressor coolants are widely used as replacement coolant in kaeser, atlas copco, ingersoll rand, sullair, chicago pneumatic make rotary screw compressors. We are offering A ir Compressors Oil , Rotary Compressor Oil (Lubricant / Coolant Oil) to our clients. We are leading wholesale trader / supplier of replacement genuine quality rotary screw compressor oil / coolant / lubricant for kaeser, atlas copco, chicago pneumatic, sullair, elgi, ingersoll rand, f s curtis, boge etc. We supply replacement sigma fluid, roto inject oil, roto xtend fluid, ssr ultra coolant, sullube, air lube plus etc for various rotary screw compressor. These compressor coolants are developed to meet satisfactory lubrication under moderate oxidation and thermal performance. Hycom grades are blended from neutral base stocks with suitably selected high performance anti-oxidant, anti-rust foam additives. 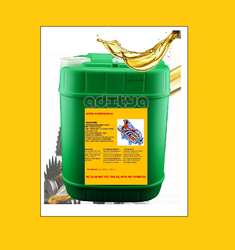 Our oils are high performance premium lubricants for the lubrication of rotary and reciprocating air compressors. They are formulated from highly refined mineral stocks and leading edge technology additives. Our lubricants are manufactured under the highest level of quality assurance and control in our modern blending facilities. Grade 32, 46, 68 , 100 As required..
Our cordial business relations with the reputed vendors empower us to provide an optimum quality range of Rotary screw compressor oil. Offered oil finds its best usage in various hardware and engineering industries for different purposes. The entire range is processed by our experts using high grade approved ingredients and sophisticated technology in accordance with the set of universal norms. In addition to this, we provide the entire range in various packaging options as per the requirements of our clients. Compressor Brand Sullair,GD,Boge,Kirloskar,Venus,Deep Pneumatic etc..
Owing to our extensive years of industry experience and profound market understanding, we are providing a wide gamut of Rotary Screw Compressor Lubricant. 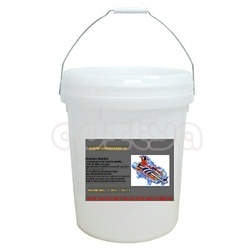 We provide 100% compatible and replacement SSR ULTRA COOLANT , ROTO INJECT OIL, ROTO NDURANCE OIL, ROTO XTEND FLUID, ROTAIR ADVANCE OIL, AIR LUBE PLUS, SULLUBE, SIGMA FLUID etc. with OEM Quality with very much competitive Price.